Pelmets. It is the breeding season for them. I built one and it turned into two. Or so it seemed. Early on in the piece we got a quote for double glazing of around $20,000. 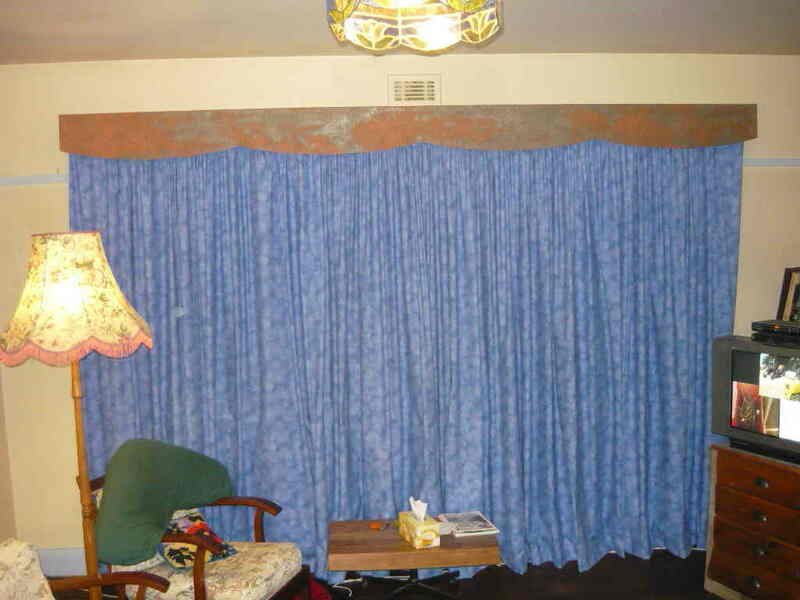 So we decided to start with floor length drapes which was one of our first purchases and then we were going to fit pelmets with tops on, so that the air gets trapped between the window glass and the curtains and does not move, thus becoming another insulating layer. 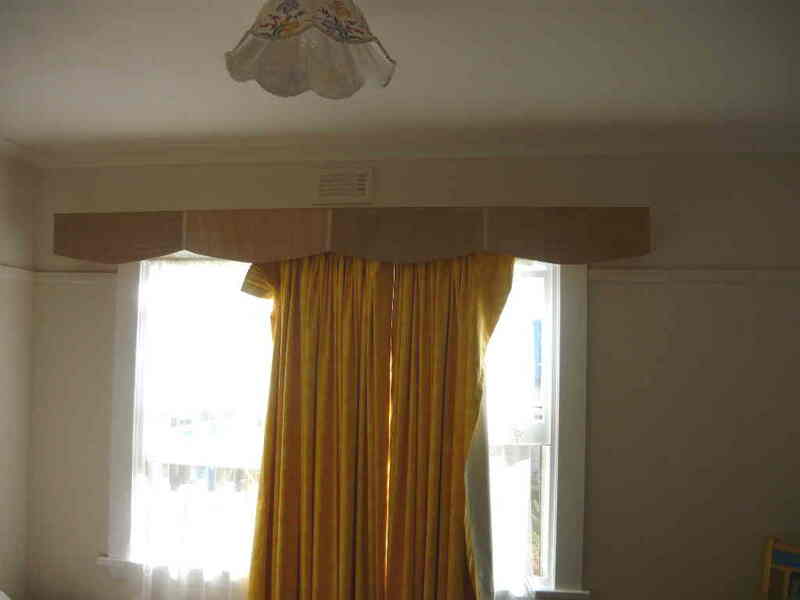 If air can rise up out of the top of the drapes it sets up air currents and all your lovely warm air rises up the glass cooling rapidly and then drops back down creating cold draughts and higher heating bills. All the pelmets that I had seen were scrappy bits of fabric stiffened with buckram. 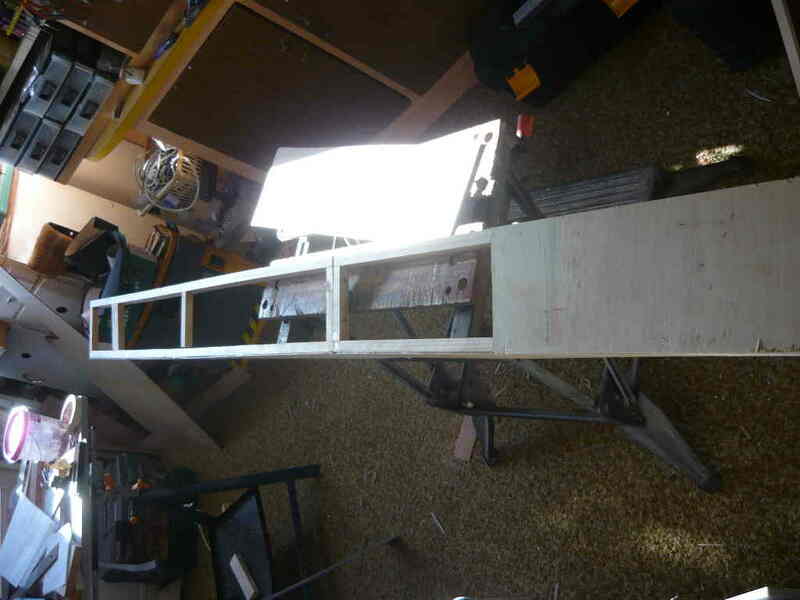 This did not appeal and being a wee bit theatrical (being a Punch & Judy puppeteer, I might be a little theatrical) and having lots of scrap 3mm plywood I thought that a solid pelmet might be the go. Starting with our front room which has a large-ish window (about 3500mm) width I built a 1″x1″ wooden frame, coverd it with plywood, added some of our textured wall paper that we are using as fake metal panels, painted it with copper paint, added patina and put it up on brackets. Looks great. 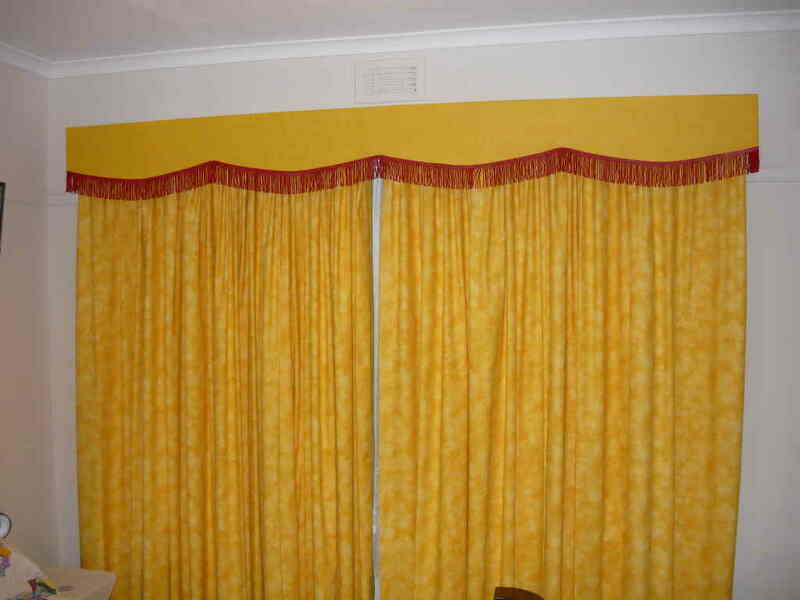 The second one was for the spare room with bright sunny yellow curtains. Hmmm. Same deal as the first in the construction phase and then paint it a matching yellow, add long fancy fringing and looks great. The bright colours make a statement againstthe ivory clay paint walls and with the north sun it is very cheery. ← Energy Assessment update ! !